Today’s post is short and sweet as I have some exciting news! I’ll be guesting my very first Instagram takeover! 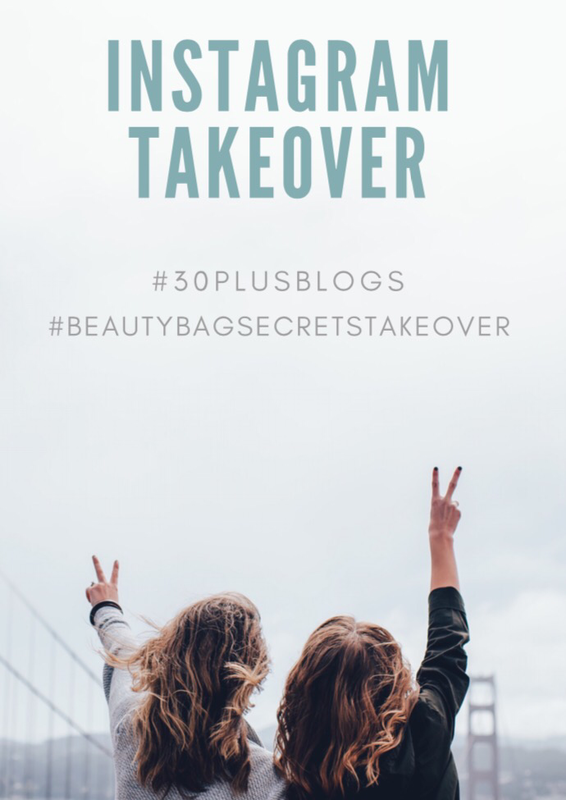 I have been following the Thirty Plus blogging community for a while now so when the Thirty Plus team contacted me about doing a Takeover I was beyond excited. So what make them so special? As a fairly new blogger, finding support networks is an absolute must for me. When I stumbled upon this blogging collective I immediately felt welcome. Every other Thursday they host twitter chats and I can honestly say that I’ve been learning a thing or two and I’ve also connected with other like minded bloggers. If you have a particular topic in mind that they haven’t covered, just drop them an email and they’ll take it in to consideration. They also have a facebook group where you can share your content daily and where other bloggers share their learnings. They’ve recently been talking about hosting Summer Picnics to encourage bloggers to meet up, so if that is something you are interested in definitely check them out! If you haven’t joined any blogger groups I’d recommend giving them a try. I’m heading over to their Instagram profile shortly to start my takeover. Happy Friday everyone, I hope you have a lovely weekend and that the suns stays out to play!